The Sleepy’s Richmond team pride ourselves on helping you to achieve high quality sleep so you wake up feeling refreshed and invigorated. Your mattress and bedding needs are as unique as you are, so we take the time and care required to ensure your individual sleeping requirements are considered. Too often the restorative power of sleep is undervalued. Our mattress is the most used piece of furniture in our homes and is the only item with a direct impact on our health and wellbeing. At Sleepy’s Richmond our trained Sleep Consultants are ready to help you to achieve a better night’s sleep. We don’t just sell mattresses — we personally fit you to your new mattress ensuring you achieve correct spinal alignment, support and comfort while you rest and recover for a brand new day. Our mattress experts have worked to curate a catalogue of the best mattresses, bedheads, bases and bedding available. It is because of our pride and care in the fitting process we are the only retailer in Victoria to sell mattresses tested and endorsed by the Chiropractors’ Association of Australia. We are so confident in our ability to correctly fit you to our quality Australian made mattresses that we offer a 60 Night Comfort Exchange Guarantee for your peace of mind. 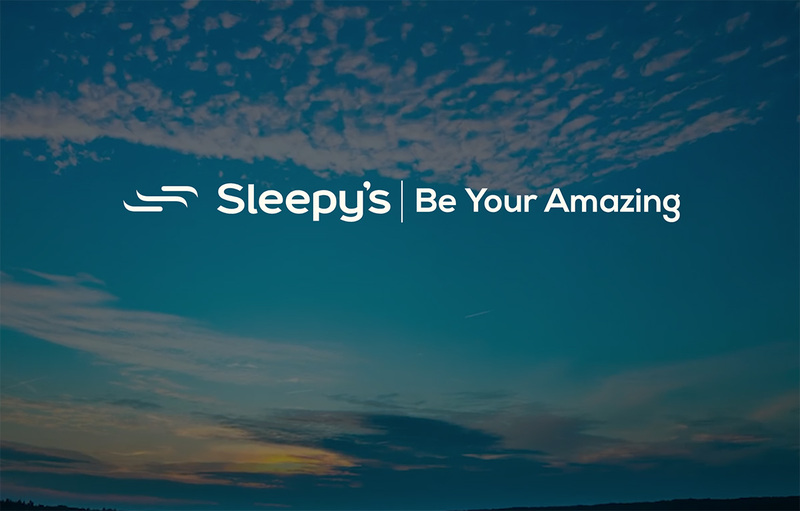 Come in to Sleepy’s Richmond and discover a better night’s sleep so you can be your amazing! We are very happy with our experience at Sleepy’s Richmond. My trusted and professional Chiropractor of many years recommended that I should get in contact with Sleepy’s Richmond for professional advice and a mattress suitable for my specific back and sleeping needs. My Chiropractor provided me with a referral to Sleepy’s Richmond. I met with store Manager and staff. They took the time necessary to understand my back/spinal concerns. He reviewed my referral carefully and provided me with the confidence to take on board his advice and recommendations. David’s careful examination of my posture with real time photography, provided compelling evidence that my Chiropractors referral was both justified and correct. Thanks to the Sleepy’s Richmond team, I can now look forward to a much better night’s sleep. Today I bought my first mattress and I couldn’t have been paired with a better one. All thanks to the staff and her excellent customer service. I really felt welcome at Sleepy’s. Hi – The staff was very helpful and friendly. We were very pleased with the assistance we received and the bed we have bought. I contacted the store and asked to have the bed delivered almost one week ahead of the estimated delivery time, and my wish was fulfilled. The time slot for the delivery was only one hour, so I didn’t have to wait for it for half a day. I also received a set of high quality bed linen for free. Great service. I strongly recommend. Purchased online — speedy service and great value for money product. Having recently purchased bedding from your store, I would like to commend you and your sales assistants for the professional level of service experienced. Your staff have been at all times helpful, polite and most pleasant to deal with. Although the delivery date was delayed due to factory issues, when the delivery was made it was most efficient and the procedure was performed smoothly. Your sales consultants are enthusiastic, polite and an important asset to your business. Best customer service ever from the team in Richmond. Not only helpful with awesome mattress selection (all made in Melbourne), but after trying to work out a suitable delivery time for me, I get to sleep on my brand new mattress tonight which I only purchased at 3.30pm today. Thanks guys, much appreciated. I would like to commend the staff at Sleepy’s Richmond on their thorough and informative service in finding the right mattress for us. We previously had spent a large amount of money on a mattress with another company but were not sleeping properly due to the mattress being too hard and extremely hot. At Sleepy’s Richmond we were shown to a number of beds, but decided on the Sports Performance Restore and were told that this was the best mattress for us after explaining previous issues we had. This was further backed up by the use of the iPad to highlight our alignment on the mattress. Thank you Sleepy’s Richmond for your service, we are sleeping much better since we received our new mattress! My husband and I recently bought a mattress and base in your Richmond store. We would like to commend your staff on their knowledge and outstanding customer service. The helpful attitude is something we greatly appreciated, and unfortunately see all too rarely. What a relief to finally find a mattress that supports me and provides me with a good night’s sleep. The store manager advised me that Sleepy’s Chiro Align 300 would probably suit me and he was right. I suffered from broken sleep, felt too hot in bed and I had reached the point where I dreaded going to bed. After laying on the mattress for half an hour I knew it was the one for me. Congratulations Sleepy’s on an excellent product and your kind, patient service. My husband and I are very happy with the Sports Restore. After a recent spinal fusion, a supportive mattress was necessary. Previous to the Sports Restore we had spent a significant amount of money on a ‘chiropractic endorsed’ mattress sold by a company that advertise their mattresses as being GST free — this mattress was the worst mattress we have ever owned. We chose Sleepy’s solely because of their 60 night comfort exchange guarantee. After the costly mistake of our previous mattress purchase, we wanted to ensure that we would end up with a mattress that was suitable for our particular needs. Since the purchase of the Sports Resture mattress, our physiotherapist has noticed less tightness in our spines and we can only attribute this to the comfort and support of our plush new mattress. I would definitely recommend Sleepy’s Richmond to assist you in finding the most appropriate mattress for your particular needs. I wish to thank you for the excellent service received after the purchase of our new bedding. You went just that extra bit further which was very much appreciated. I’m delighted with my purchase and will return to Sleepy’s the next time a bed is needed. We just wanted to let you know that we are happy with our new bed and the service we have received from you. Delivery was arranged with no fuss. I love my new bed, and thank you for installing it! It’s hard to leave home now! I have had my new king single bed from Sleepy’s for a week now, which means I have been sleeping restfully for all that time. For many weeks I have wished for just that, and am now so pleased with my decision to purchase. Thank you to all involved. Especially I appreciate the very approachable sales person on hand at the Malvern Central Sleepy’s display. I really recommend other people contemplating bed buying to consult with these young helpful people at Sleepy’s. I didn’t look at a lot of beds, but was impressed by your initial information, that you deliver personally and that Sleepy’s exclusively stocks the Chiropractic range. Just that initial info was enough for us to return with a choice of bed in mind. Sleepy’s staff helped my husband find the right comfort level on the beds. They helped me with a pillow and bed protector and were able to offer further discounts. We had to change the delivery date due to a building delay, which was no problem at your end. Delivery arrived exactly at the time stated which was great. They were very helpful and careful with the bed and newly painted walls. We have been really happy with the bed we have chosen and thought the service set you apart from other companies — very refreshing.